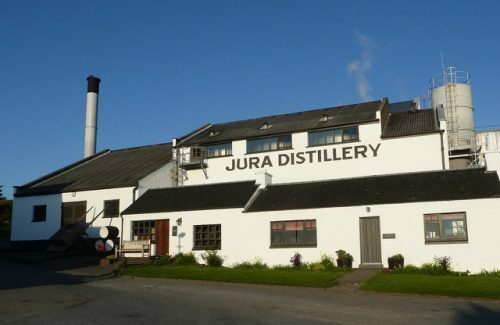 Jura Distillery will take part in this year’s Fèis Ìle on both Wednesday 25th and Thursday 26th May. A journey through our core range single malts with the man who knows them best, ending with a very special sampling for Diurachs only, of our commemorative 21 year old, celebrating over 200 years of distilling on Jura. Take in a tour of the distillery with distillery manager, Willie Cochrane. This will end in the filling store where you’ll work with Willie to fill a special 2011 Festival Cask! Visitors to the Festival last year helped in the selection of a very special cask which has now been bottled and will become available, exclusively on the island only, at this years Whisky Festival. Sample a small dram with Richard as he talks you through this wonderful expression and what makes it’s island home so special. Ticket price – £15.00. This includes lunch, entertainment and a distillery gift plus free ferry travel for foot passengers from Port Askaig to Feolin for those attending the festival (car charges on the ferry are applicable). To reserve your place, contact us.